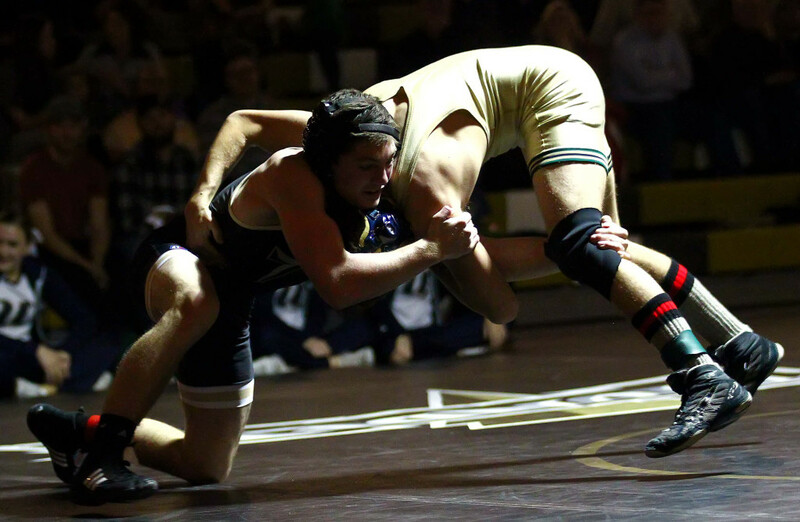 ST. GEORGE — When Bundy Sewell pinned Desmond Wise with 43 seconds left in the second period, Desert Hills had a comeback Region 9 win over Snow Canyon after starting Wednesday’s match with two forfeits. The Thunder finished the region season 4-1 while Snow Canyon finished at 3-2. 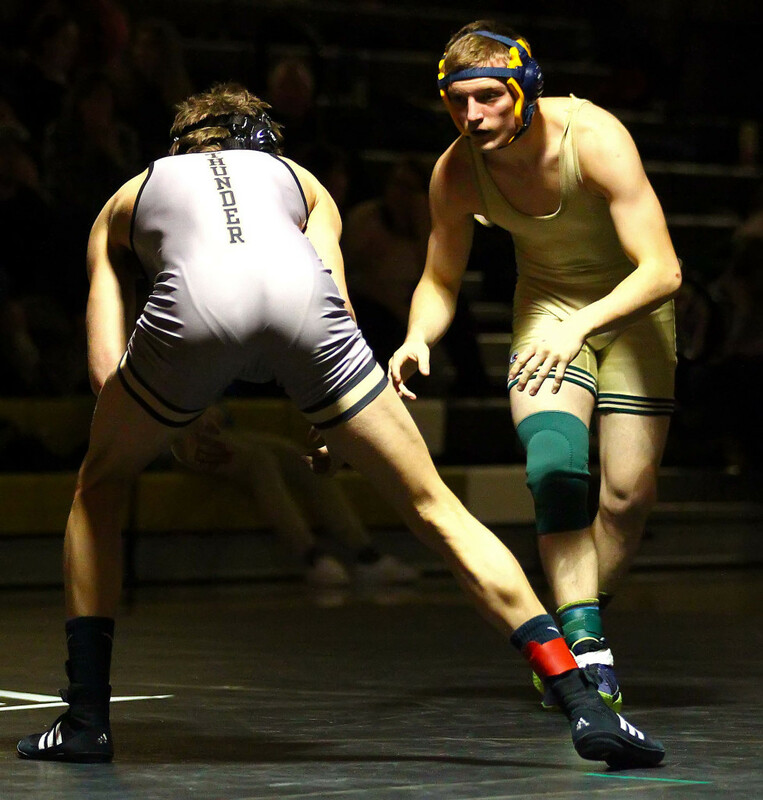 Thurday’s matches, which will complete the region’s dual meet season, include Cedar (4-0) at Hurricane (1-3) and Dixie (0-4) at Pine View (1-3). 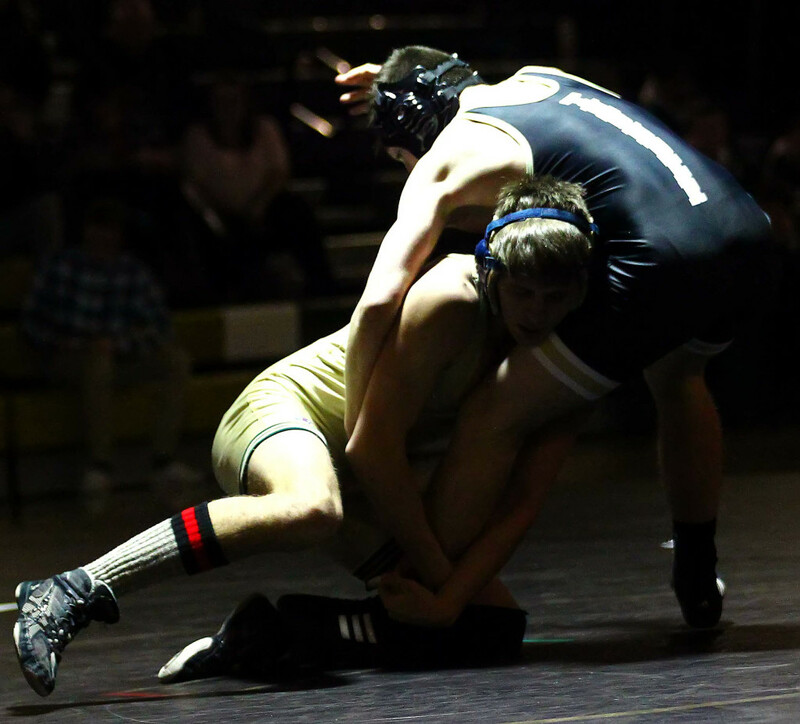 Both will start at 7:30 p.m.
Desert Hills also got pins from Chance Bundy at 132, Brady Jones at 160 and Russ Farnesi at 220. Another key win for the Thunder, Pace said, came at 106. Saculles fell behind the Warriors Mikaena Puriri early and trailed 5-3 late in the second period. 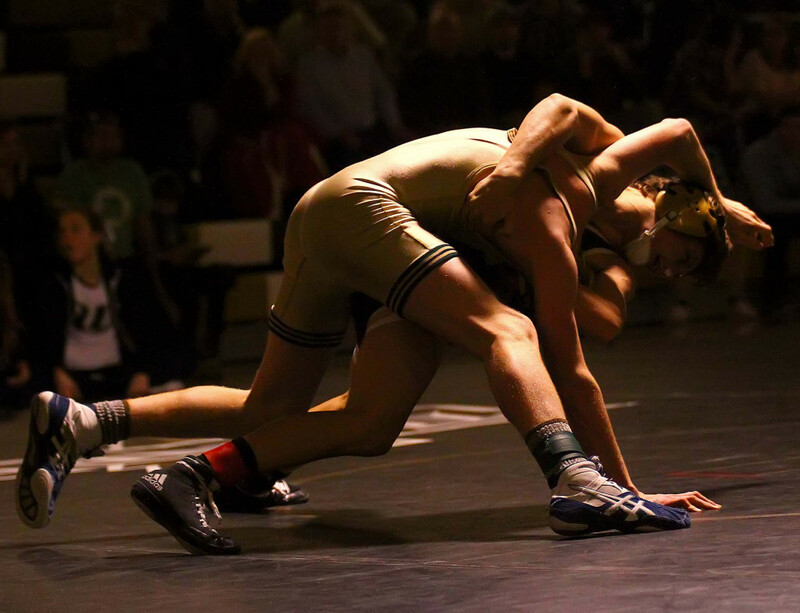 But a takedown and a near-fall gave him an 8-5 edge heading into the final period. He then powered to a 13-7 decision from there. 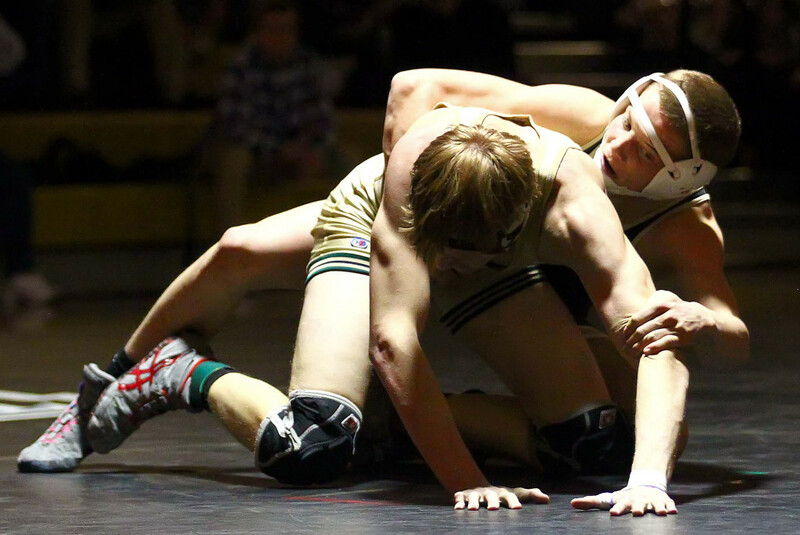 Snow Canyon’s Kody Hafen (120), Trent Wilson (138), Weston Jeppson (145) and Tanner Nelson (182) also had pins. 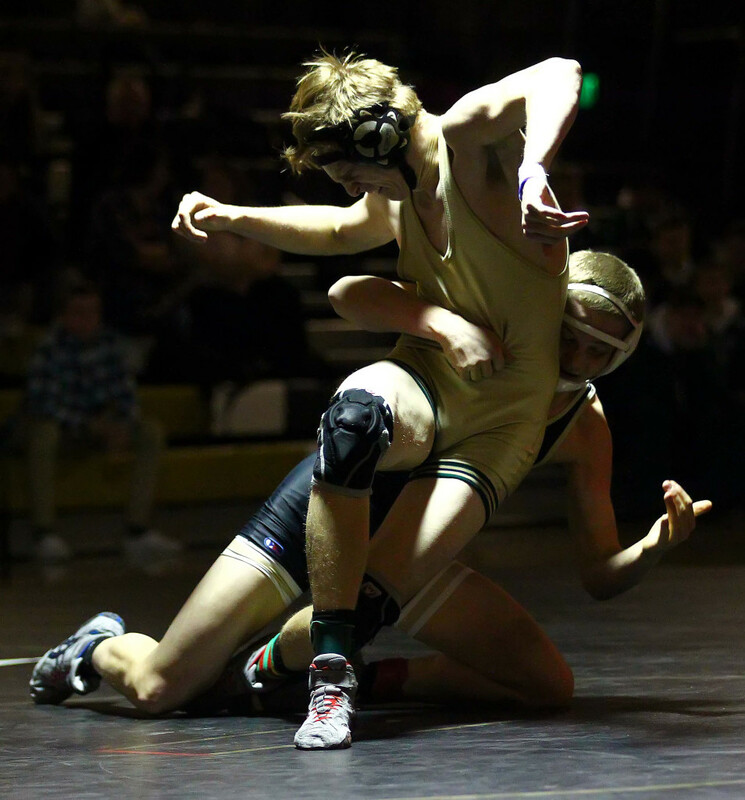 “It was exciting to have it come down to the heavyweights,” said Warrior coach Nick Lang. “Congrats to Desert Hills. Snow Canyon had a definite gameplan heading into the match. The Thunder’s Liam Williams downed Rogers 12-4, but, despite his No. 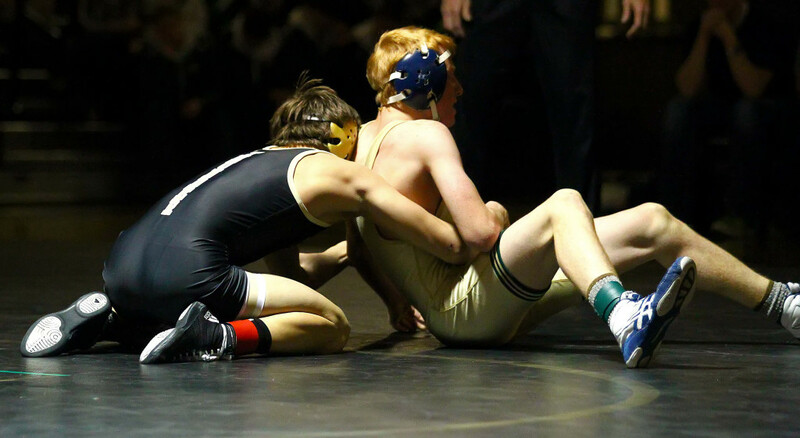 1 ranking at 152 pounds in Class 3A, he wasn’t able to pin him. That kept things interesting down to the end. 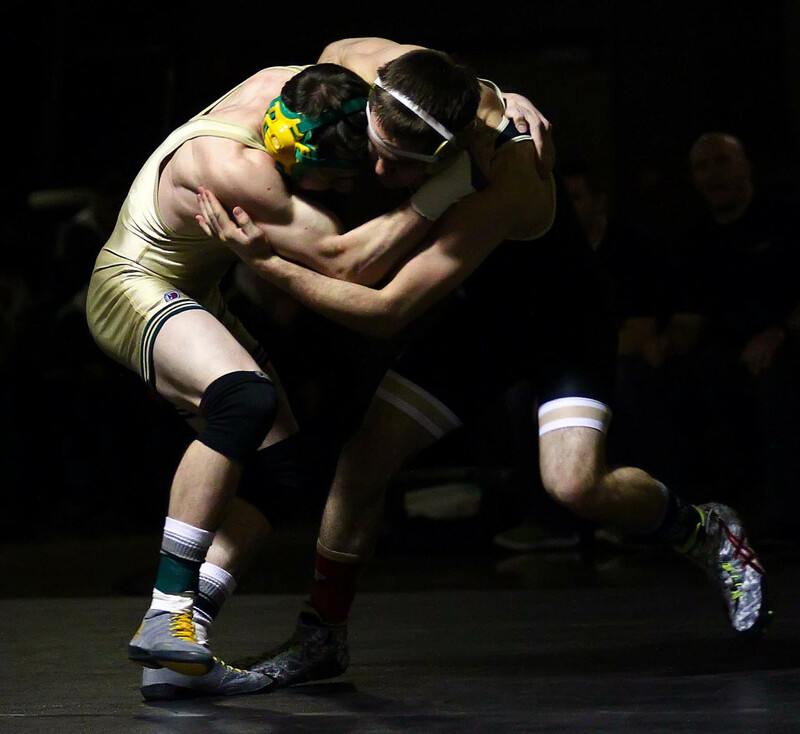 Rogers, Lang noted, was wrestling up two weight classes. 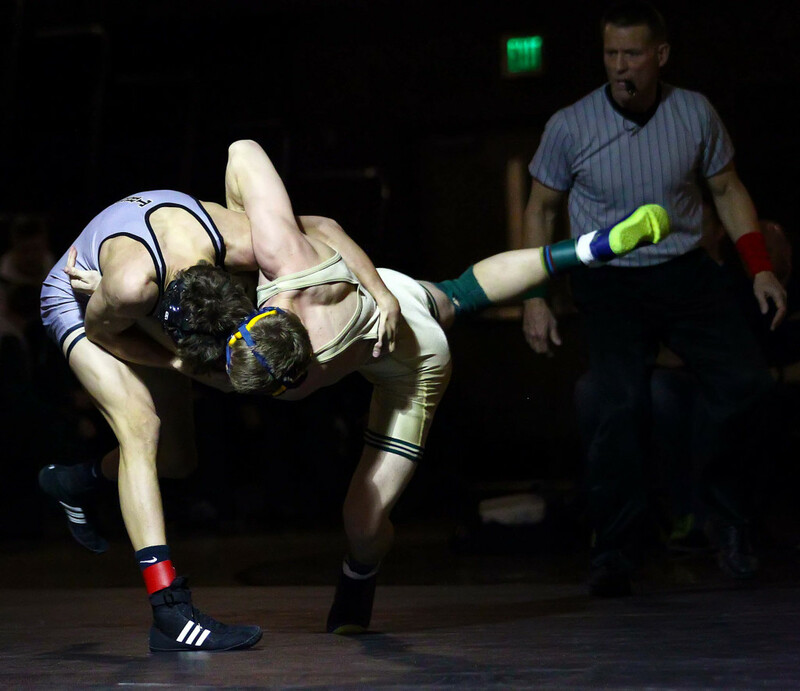 Following completion of the league duals, teams will turn their attention to the Class 3A divisional tournament at Cedar City High School on Feb. 5 and 6. 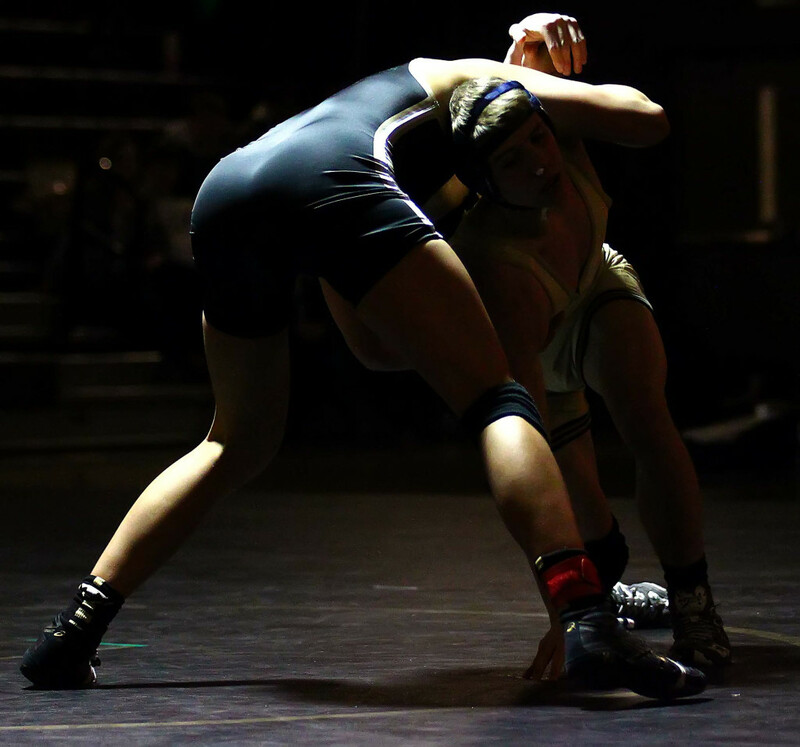 Teams will be able to enter two wrestlers per weight class as the young men try to be among the eight who qualify for the state tournament at Utah Valley University on Feb. 12 and 13. Before Wednesday’s match, the Thunder’s Caleb Palmer received the Vance Casperson Young Manhood Award. 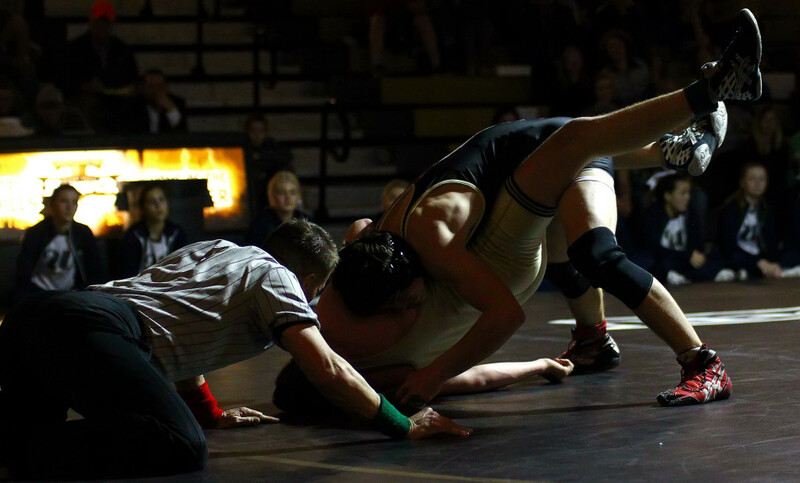 Coach Pace explained that the longtime Pine View coach presents the award to athletes who give more to wrestling than they get out of the sport. 285-Bundy Sewell, DH, pinned Desmond Wise, 0:43, 2nd.